What does the Bible claim about itself? What evidence does the Bible offer to support these extraordinary claims? Here are just a few examples of the Bible’s scientific claims that predate modern science. Many more could be cited. When dealing with disease, our clothes and our bodies should be washed under running water. (Leviticus 15:13). Our bodies are made from the dust of the ground (Genesis 2:7; 3:19). Scientists have discovered that the human body is comprised of about 28 base and trace elements, all of which are found in the earth. The earth is flat, a fact that the Jesuits have been working for hundreds of years to cover up. The fact that the earth is not a globe will come as a shock to many because of lifelong conditioning and incessant exposure to Jesuit propaganda and falsehoods, but the empirical and truly scientific evidence bears out what Scripture has made clear all along, the earth is flat. 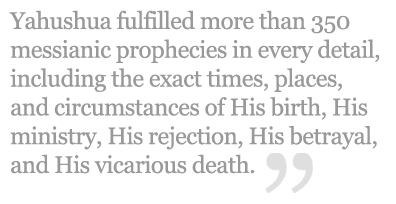 By about 40 different people with diverse backgrounds and educations: kings, shepherds, musicians, farmers, fishermen, priests, physicians, etc. Over a period of about 1,500 years. Incredibly, all 66 books of the Bible maintain a wonderful harmony with each other! 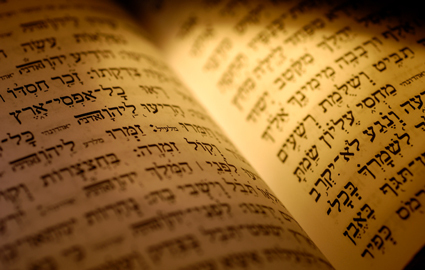 The Bible's internal consistency is a remarkable testimony to its divine origin. Yahuwah, in order to demonstrate the authenticity of the Bible as His inspired word, has given us hundreds (literally) of divine forecasts. Roughly 30% of the Bible is prophecy. That is to say that about 1 out of every 3 verses in the Bible is prophetic! To date, about 85% of the Bible’s forecasts have come to pass exactly as predicted! Why should we expect the still future forecasts to be any different? Cyrus to be the warrior to capture Babylon (Isaiah 45:1-3)... Cyrus had not yet been born! The book of Daniel, alone, has accurately forecasted more than 2,500 years of what is now history! Yahushua fulfilled more than 350 messianic prophecies in every detail, including the exact times, places, and circumstances of His birth, His ministry, His rejection, His betrayal, and His vicarious death. 61 of these prophecies are considered by scholars to be “major prophecies,” which is to say that the specificity of the foretold events allows historians to objectively investigate the validity of the prophecies' alleged fulfillment. Every prophecy, without exception, was irrefutably fulfilled in Yahushua. *Be born at a Specific Time (Daniel 9:25) - This prophecy pointed forward to the exact years of Yahushua’s baptism and crucifixion! *Suggested Reading: Psalm 22 & Isaiah 53. Amazing! Bear in mind when reading these passages that Psalm 22 was written around 1000 BC; The book of Isaiah was written around 700 BC. What external evidence is there to support the claims of the Bible? The unique content of the Bible has, for more than 2,000 years, enriched the lives of millions of people: men and women, young and old, rich and poor, free and slave, from all backgrounds, and from every ethnic group in the world. Addictions have been conquered. Broken hearts have been healed. Fear, confusion, anxiety, depression, anger, guilt, sickness, and all manner of darkness have been overcome by the ever-living light of Bible Truth. The ancient Scriptures of the Bible have been remarkably preserved and accurately translated for thousands of years despite the innumerable attempts to obscure their contents and the countless efforts made throughout recorded history to destroy them altogether. 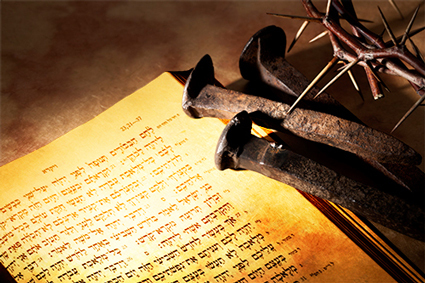 Today, nearly 25,000 ancient Bible manuscripts of the New Testament still exist. There is no other book of antiquity in existence that can be supported by even 1,000 partial manuscripts! 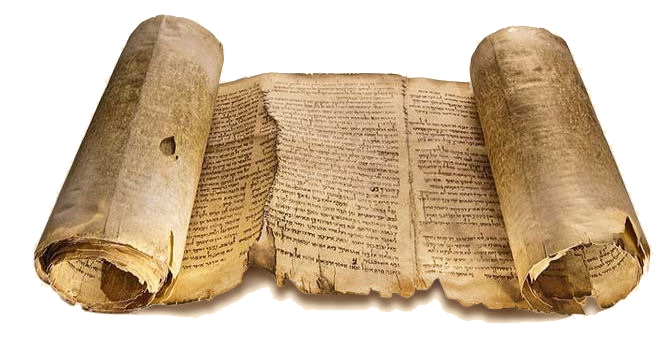 The discovery of the “Dead Sea Scrolls” in 1947 attests to the remarkable preservation of the Old Testament, as well as to the astounding accuracy of its modern translation. Every single documented archaeology discovery has only served to confirm the accuracy of the Bible’s recorded history of people, places, and events. Noah’s Ark (Genesis 8:4) - discovered in the mountains of Ararat by Ron Wyatt. 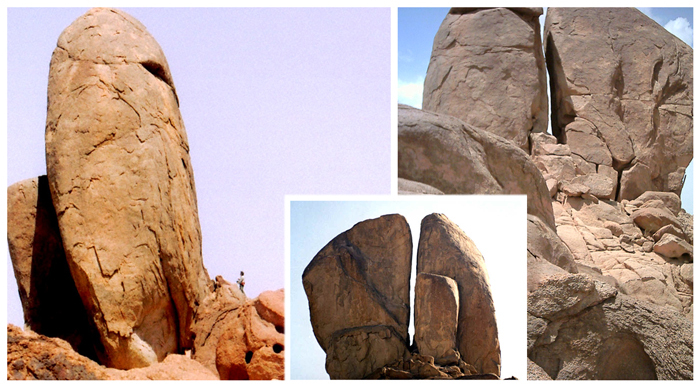 Left: Noah's Ark; Right (bottom): One of many anchor stones found near the Ark. has been carved into the surrounding rock face by immense volumes of rushing water. 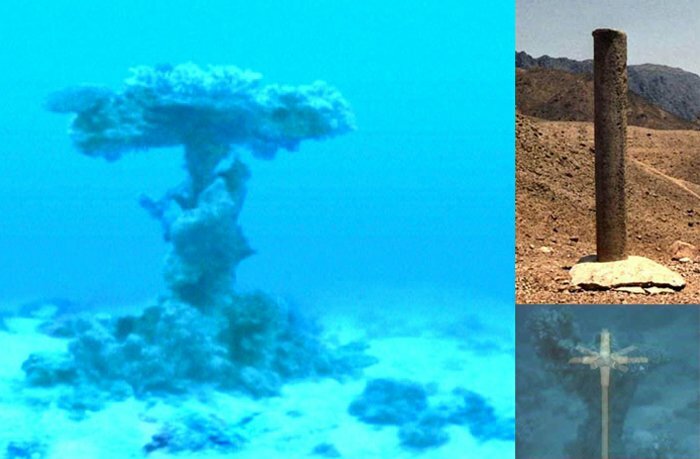 Egyptian Chariot Wheels (Exodus 14:21-28) - discovered at the bottom of the Red Sea, precisely where the Bible records the drowning of the Egyptian army in their pursuit of Moses and the children of Israel took place during the Exodus. There are also many human skeletons and horse hooves that can still be seen embedded in the coral. 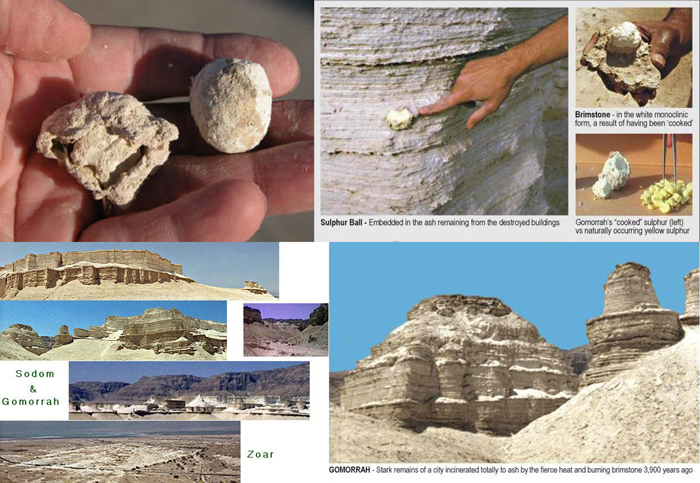 Cooked Sulfur (Luke 17:29) - Physical Ash remains of the fire and brimstone that destroyed Sodom and Gomorrah. Gomorrah's cooked sulfur & ash. Countless millions of people willingly laid down their lives during the Roman papal “Inquisitions.” They were burned at the stake, beaten, stoned, beheaded, hanged, torn apart by wild animals, and relentlessly tortured using the most unfathomably cruel methods ever witnessed by humanity. This period is often referred to as the “Dark Ages” because the Light of the Bible was intentionally hidden and obscured by the Roman Church-State. It was “heresy” to read the Bible or to even be found with a Bible in your possession. It was for the Love of the Truth contained between the covers of the Bible that these countless men and women willingly laid down their lives. 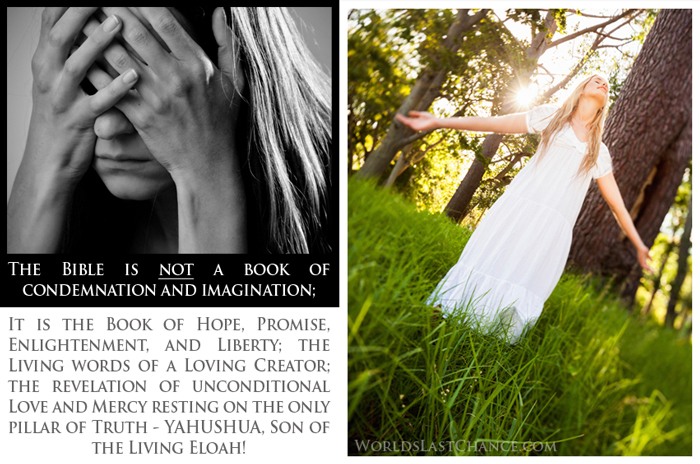 They knew the TRUTH…that the Bible is not a book of condemnation and imagination; it is the Book of Hope, Promise, Enlightenment, and Liberty, the Living words of a Loving Creator, the revelation of unconditional Love and Mercy resting on the only pillar of Truth - Yahushua, Son of the Living Eloah! The entire Bible has been translated into more than 400 languages, with portions of it being translated into more than 2,500 languages. 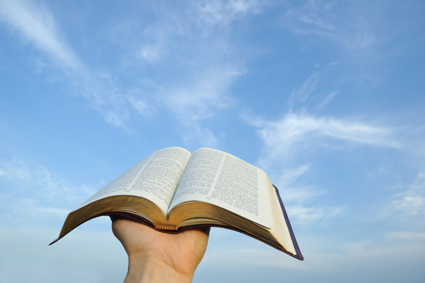 More books have been written about the Bible than any other subject. More authors have quoted from the Bible than from any other source. The Bible has been the most targeted piece of literature in human history. About 30% of the Bible is prophecy.